Travelling to me plays a big game in my life. Honestly, if you have the money, don't hesitate when it comes to travel. No matter if it's somewhere near or taking scary long distant flights, it's definitely worth more than what you're paying for. Anyhow, travelling to different places teaches you different things, you tend to think differently and you'll be surprise with the knowledge you'll gain. 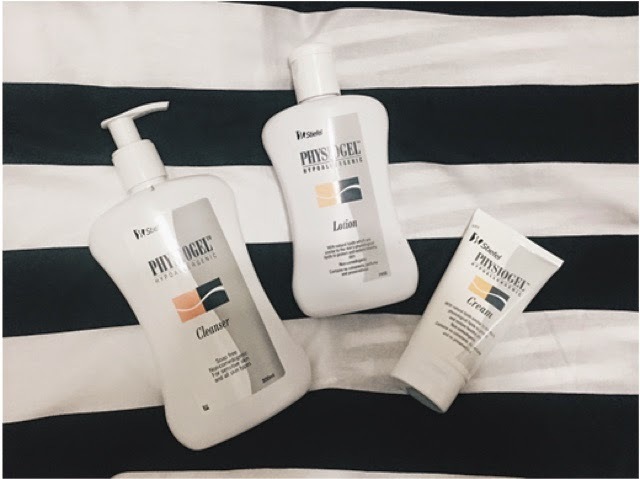 Now, if you have the same problem as me, today I'm going to introduce you a familiar brand, youprobably heard of it, or came across on a random pharmacy's shelf, a hydroallergenic brand – Physiogel. People who have sensitive skin are prolly more familiar to this brand as it's actually highly recommended by skin doctors to treat dry & sensitive skin problems. Rumour is, they don't really tell you the brand but they put it in small bottles and sell it. Physiogel products contains natural lipids that are similar to the skin’s physiological lipids with Derma Membrane Structure (DMS), a structure that is so similar to the skin. Also the moisturizers contain no colourants, perfume and preservatives to enhance its hypoallergenic effect. 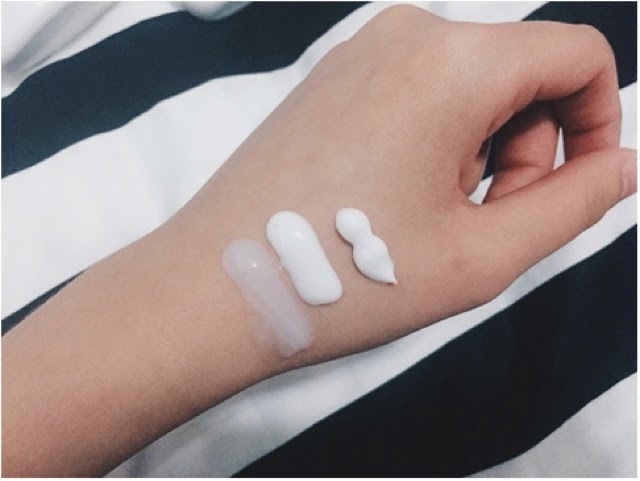 Texture of Cleanser, Lotion and Cream. Great thing about Physiogel is you can use it in a lot of ways, for face & body. Cleanser as face/bodywash, or Lotion not only to moisturize skin but also, to remove make up. Big yay for me as I always remove my make up few times a day. All you have to do is apply lotion all over the face. gently rub it in circular motion all over the face.. Wipe if off using a facial tissue (very gently)..
Continue using Physiogel cleanser to cleanse and wash it off with water! Frankly, you won't get the “clean” feeling as much as using other facial products but the cleansing effect is always there. We tend to think cleanliness by feeling it but sometimes, we won’t know if we wash the good bacterias off too. 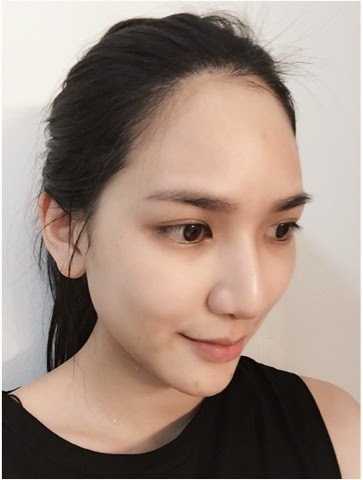 The clean-feeling somehow makes our skin even drier especially if we use cleanser foams/bubbles. Just so you know, having our skin moisturized prevents us from looking old, you won’t get fine lines and wrinkles easily if your skin is well moisturized. I know right, I'm 23 but I'm already afraid of my skin getting old as my lifestyle is so hectic. Never take your skin for granted! *This is a sponsored post. Products shown in this posting was provided by GSK for the purpose of this write up. All views expressed here are personal to the blogger. It's true.. clean cannot be determined by the clean feeling... sometimes, it's too dry instead.